When searching for a partner for your BPO needs, you may find that they all begin to look the same. However, they are not all the same. Working with a company that focuses exclusively on providing BPO to billing companies and management Services Organizations (MSO) will make both your employees and clients smile. Elite offers flexible pricing models starting at only $500 per FTE per month. We also offer performance-based pricing and joint ventures. 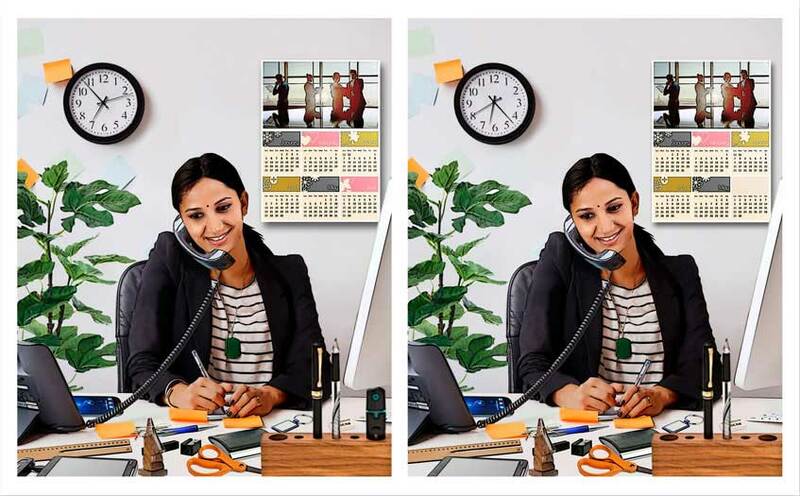 Are you ready to see the difference? Elite is a quality leader in back office outsourcing, most often referred to as business process outsourcing (BPO) for the healthcare industry. We are industry experts who focus exclusively on providing BPO to healthcare management companies and Management Service Organizations (MSO). When you outsource your business processes to Elite, your MSO can focus on what it does best – providing practice management and administrative services. Is Offshoring Right for You? There has never been a better time than now to go offshore. The U.S. healthcare industry is constantly changing the rules and lowering reimbursements nationwide. Because of this, you are looking for ways to reduce your costs and offshoring is a way to achieve those savings. Forget about what you used to think of offshoring – this is a new generation dedicated to customer service excellence and unsurpassed quality assurance standards! You have high expectations from your offshore healthcare business outsourcing vendor. At Elite, our mission is not to meet them, but exceed them! Delivering what is expected is not enough? At Elite, we believe our customers deserve more than 100%, so we give you 110%. We have a proven track record. Elite currently handles the accounts receivables and medical billing operations for Medical Billing companies, MSO and Anesthesia management companies. Why Offshoring with Elite Makes Dollars and Sense: The Simple Truth. Our message is very simple. It all comes down to three things. 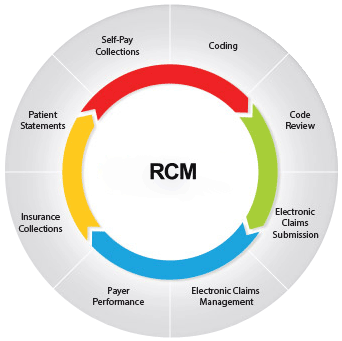 Elite offers comprehensive RCM solutions, with a wide range of business process services. Data entry of patient demographics using the software. Anesthesia Billing is Our strongest Specialty: At Elite, our primary expertise is in anesthesiology billing process. We cater to hundreds. At Elite, we have a large volume of experienced staff available and ready 24×7 to handle your business process needs. Our clients like knowing this because our long time employees have a lot of knowledge and experience. This helps build trust. 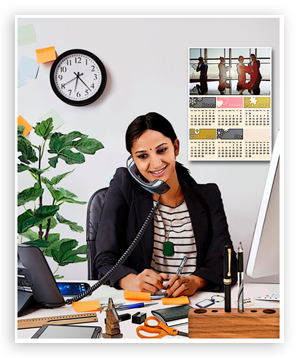 Would you like to reduce your overhead expenses? Of course you would. Elite has a large number of educated staff who are qualified, trained and certified to handle your business processes efficiently while meeting high quality standards. Since the offshore labor market is at a lower pay rate than the U.S., we can afford to hire a larger staff for less while still being able to pass the cost savings on to you. A lower-cost labor-pool does not equal inferior quality. It simply means you save money! You can reduce your overhead, streamline your business processes and get ahead financially when you choose Elite as your offshore healthcare BPO solution provider. Have you fallen behind and now need to get caught up? Elite can help you get turned around quickly. We operate 24×7. Don’t make the same mistake other billing companies make by thinking that offshoring is a short-term solution. The constant change increases the risk of mistakes and delays. Long-term solutions yield better results. Many of our clients have tried short-term solutions in the past, only to admit defeat. They are now happy to be settled in a profitable long-term relationship with Elite. At Elite, our primary expertise is in anesthesiology billing process. We cater to hundreds of anesthesiologists and management companies in the U.S. We provide complete offshore outsource solutions for anesthesiologists. We understand how to appeal non-participating care contracts. We also understand how to handle the appeal the non-paid cases, as well as how to constantly follow up the denials. When people feel empowered to make a difference in exceeding their clients’ expectations, they automatically feel motivated. That positive energy creates better team spirit. It improves the quality and efficiency of their work, and it encourages longevity in employment. All of this helps to foster the culture at Elite that centers on excellence in customer service and building client relationships. Elite opened its door 5 years ago in Jaipur, India near Delhi. In a short time, we have become a leading provider of offshore healthcare BPO services, including medical coding, billing, accounts receivable management, claims processing, and healthcare revenue management. 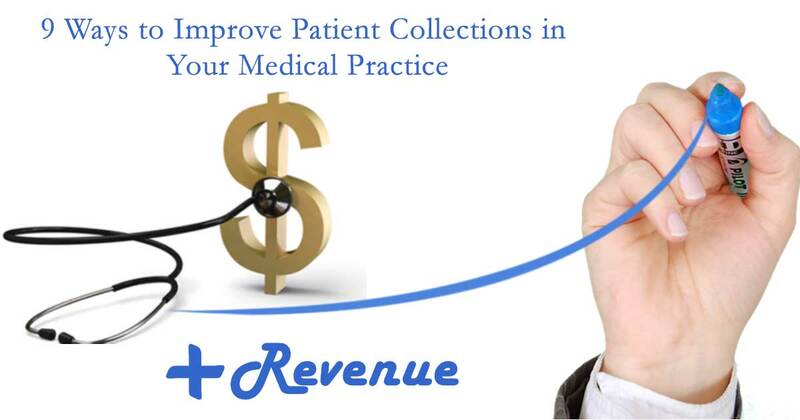 We have a strong brand name and are renowned for excellence in Revenue Cycle Management in the U.S. among doctors and medical groups. We employ 200 employees in a 20,000 square foot state of the art, HIPAA compliant facility. We are building a new state of the art building for offshore outsourcing on 2.5 acres of land for 400 employees that will be capable of expansion up to 1,000 people. The future is bright with Elite. On a typical day, job seekers come to the Elite Human Resources Office to fill out an application for employment. Candidates hand in their resume and completed application. Human resources representatives review their information and if the candidate is a good match, they are presented with a series of skills, knowledge, and aptitude tests. A candidate applying for a data entry position would take a typing test. Someone applying for a medical coder position would be tested on their knowledge of anatomy and medical terminology. An accounts receivable representative would be tested on their aptitude and communication skills. All candidates that pass these initial tests move on to the next phase of the hiring process, which is the interview. Human resource representatives and department managers interview potential candidates for open positions within their respective departments. Those that are hired receive orientation and then begin job training that corresponds to their new job position. Most employees that come to work for Elite stay with the company for a long time. Many have been here for five years. At Elite, making the investment to train our employees is one of the smartest business decisions we can make. We know that when our employees are well-trained, they perform their job with greater confidence, accuracy and efficiency. That is the value we offer our clients. The only way we can exceed our clients’ expectations is to deliver more than what is expected. We do this by providing greater accuracy, faster turnaround times and superior customer service. We do things right the first time because quality and accuracy matters. We have earned the trust of our current clients and once we do, we keep it. We provide dedicated training sessions to our employees that are conducted directly by our clients through online tools. We also use traditional classroom training for initial job orientation which teaches the company values of customer satisfaction and customer relationships. Every Elite employee, from our entry level staff who receives skill development training up to those acquiring AAPC certification, receive training. Training is one of our core values. Elite employees are empowered to make a difference. They are encouraged to provide feedback and one way they do this is through surveys. Topics range from food served in the canteen to the selection of team leaders. The value of the employee’s contribution is rewarded. Elite has an excellent pool of talent with exceptional experience, the average relevant experience being about five years. The leadership management team is also very strong. This team consists of five managers, seven team leaders and seven quality analysts. Elite has an extremely open culture. We have respect for and care about what people think personally and professionally. We understand and respect family values. We like to see stability in our employees at home and in their work environment. We encourage entrepreneurship within the organization. We also provide a bonus-based compensation structure for employees. This encourages employees to think outside the box. We support and encourage people to think differently. We promote innovation and creativity. It is very important that families have respect for and support the work of Elite employees. We make sure parents are proud of their daughters and sons for the work they do. Elite owners occasionally talk to the families about how proud they are of their accomplishments and the good work they are doing at Elite. We want them to have respect for their work and we validate for them that their children are doing something right. The physical safety and protection of Elite employees is of upmost concern. Elite is committed to providing complete safety and security to all its employees. We have established specific safeguards and procedures in place to ensure the welfare of each staff member is protected at all times. Elite provides company transportation as a security measure for employees who work during night shift hours. Employees are transported securely between the company facility and their home. A certified security officer checks in all visitors and employees who enter and leave the building. Each person’s belongings are checked for unauthorized items, such as data storage devices (USBs, CDs, etc.) and laptops are logged. No technical devices are allowed unless approved by senior management. Elite has security cameras recording each room throughout the facility, as well as the exterior perimeter. The security team views the monitors and can act quickly on any suspicious activity. Our clients have the ability to see where their team is sitting and working via webcam and can interact with them via web conference. Elite uses a fingerprint based biometric authentication and password protected lock system for employees to gain entry into their respective work areas. Employees have personal lockers to secure their belongings and cell phones. Only team leaders can have cell phones. Our facility’s online security is completely protected by firewalls. The data between our clients and Elite is securely encrypted through VPN and hardwired connections only. We make sure no email and no public access to our internal severs or online repositories are available without any permission or protected access. Elite supports HBMA and provides best offshore practices guidelines . Please fill the following contact form to find the answers and their relevance in offshore healthcare delivery.